Most cancer diagnosis tools and procedures today involve detecting the disease on the microscopic level. There is no single test that can accurately diagnose cancer. The complete evaluation of a patient usually requires a thorough history and physical examination along with diagnostic testing – a lot and a lot of tests. 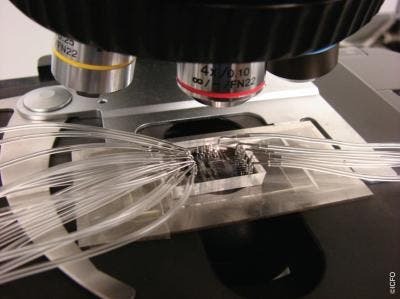 If that wasn’t enough, these tests are only designed to detect cancer when the tumor is already composed of millions of cancer cells and the disease is starting to advance into a more mature phase. An international team of researchers from the ICFO – Institute of Photonic Sciences in Castelldefels may have shifted this paradigm. They made an ultra-sensitive chip that can detect cancer protein makers in minute concentrations in blood samples. Millions of people die of cancer each year, but some are saved due to rapid intervention and the latest treatments. Cancer survival rates are directly proportional with the time of detection, so if can identify the cancer at the earliest time possible before the cancerous cells had time to spread throughout the body, a lot of lives can be saved. 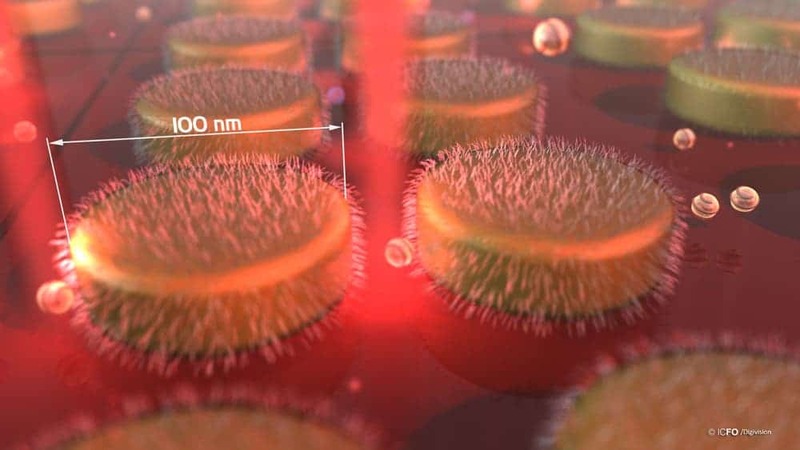 The lab-on-chip device makes use of the latest advances in plasmonics, nano-fabrication, microfluids and surface chemistry and even though it may seem extremely compact, make no mistake – the device is home to a slew of sensing sited distributed across a network of fluidic microchannels. This enables the tiny device to carry out extensive tests on micro samples comparable to those made by full blown labs. To detect cancer protein markers, the researchers employed some nifty tricks. Gold nanoparticles are lined over the surface of the chip and chemically programmed with an antibody receptor that specifically attracts the cancer protein markers circulating in blood. When a drop of blood is introduced into the chip, it rapidly diffuses through the microchannels. Any cancer protein markers will thus stick to the nanoparticles and set off a ‘plasmonic resonance.’ The magnitude of these changes are directly related to the concentration and number of markers in the patient blood, which provides a direct assessment of the risk for the patient to develop a cancer. The team reports fast detection of relevant cancer biomarkers (human alpha-feto-protein and prostate specific antigen) down to concentrations of 500 pg/mL in a complex matrix consisting of 50% human serum. “The most fascinating finding is that we are capable of detecting extremely low concentrations of this protein in a matter of minutes, making this device an ultra-high sensitivity, state-of-the-art, powerful instrument that will benefit early detection and treatment monitoring of cancer,” said ICREA Professor Romain Quidant, coordinator of the project. Findings appeared in the journal Nano Letters.